Elopements: No two are alike! The beautiful thing about eloping, is that there are very few rules. 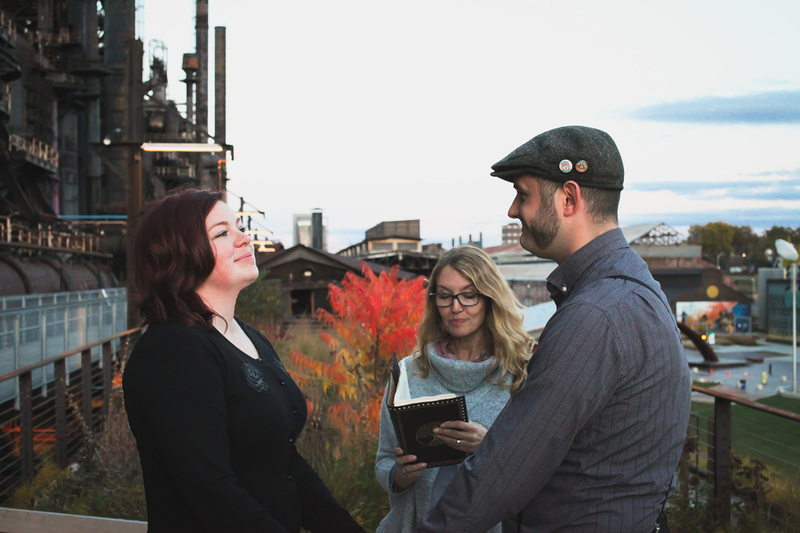 You get to create your ceremony and your experience just the way you want it. It is a bit unconventional from the start, which allows you lots of freedom to create a unique expression of your love. The following are some ideas to get you started! Jayson and Tara under the waterfall at Glen Onoko. ​Lauren and Stephen at the Allentown Rose Garden. Certificate signings are available in my Bethlehem home and can be scheduled both on weekdays and weekends. ​and filing your license with the county courthouse. Would you prefer to have all or part of your ceremony in Spanish? 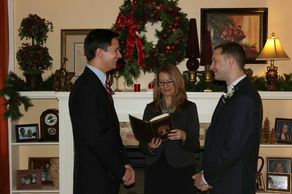 We provide all Elopement ceremonies in Spanish as well as English, and any combination of the two! Contact us to inquire about how we can work together to design a lovely Spanish or Bilingual Elopement ceremony. Would you like a video recording of your special day? to offer a simple, memorable video of your elopement. Contact James for a quote and find out how affordable it can be to have your special day recorded, and a lovely short video created for you. Whether you want to be able to share your day with those who weren't there, or keep your memories of the day for your own personal enjoyment, James will work with you to provide you with a one-of-a-kind keepsake to be cherished forever. ​ Click the above link to his website, and contact him now!